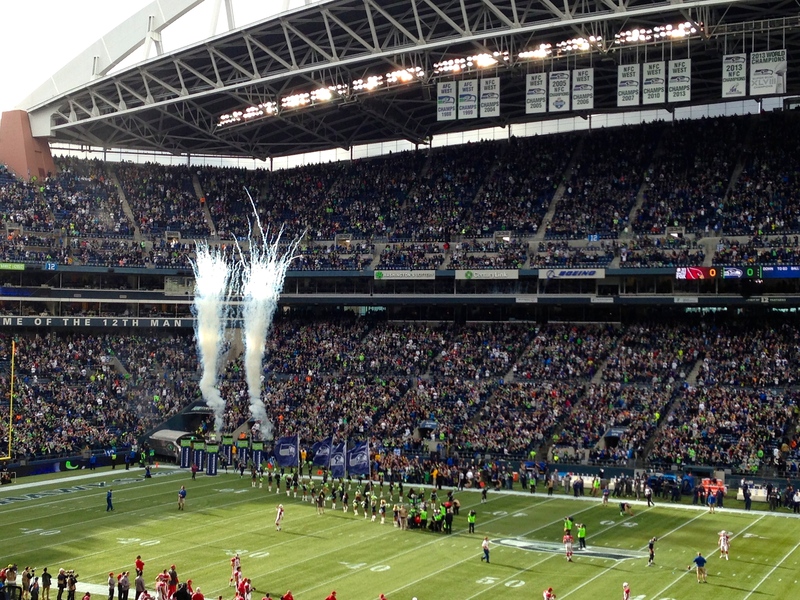 If you’ve never been to a National Football League game, you are missing a truly incredible experience. 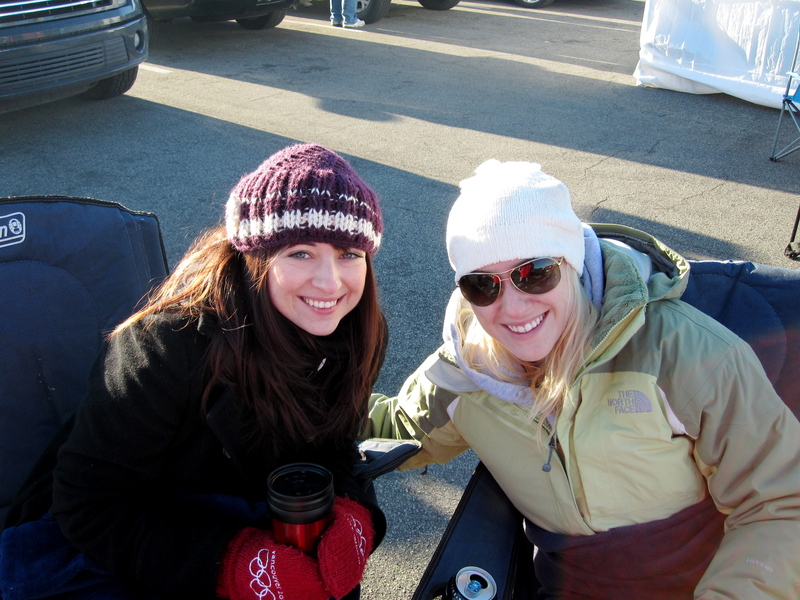 My first NFL game was back in January 2011 watching the Oakland Raiders at the Kansas City Chiefs. It was a memorable event even though I didn’t know the rules and had never watched a full football game in my life. It must have been the tailgating at 9am that did it. Flash forward 3 years and I’m throwing a super bowl party and cheering as my “home” team the Seattle Seahawks win the Super Bowl. I may be a bit late to the party but I think it’s safe to say that I’m hooked. 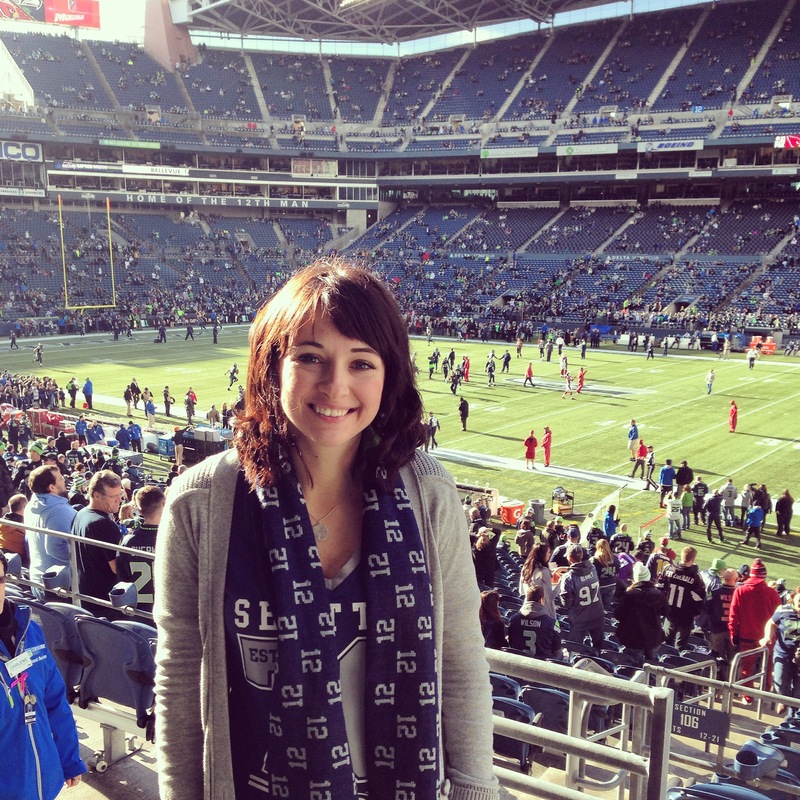 This past weekend I got to attend my second ever Seahawks game at Century Link Field. Similar to Vancouver in many ways, Seattle feels like a second home to me (must be all the airport visits). And since Vancouver doesn’t have an NFL team, my family has adopted the Seahawks. Fearing that another loss would banish me from the stadium as bad luck, I was really crossing my fingers for a win. We arrived at the stadium in good time to enjoy some delicious (but not so nutritious) munchies (a must at any pro-sporting event) and the pre-game atmosphere. 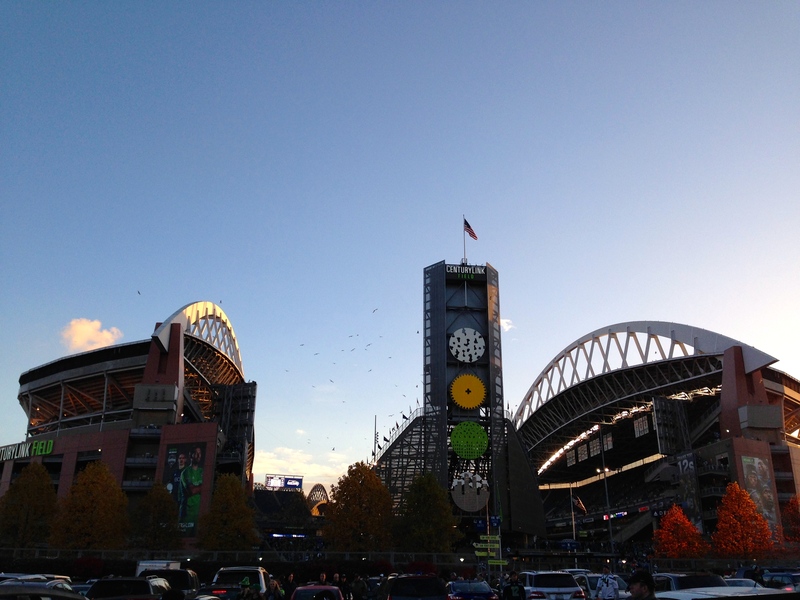 I have come to love all the rituals, like the raising of the 12th man flag, watching the hawk fly out before the team, and yelling FIRST DOWN in unison with the crowd. I even tolerate the SeaGals despite my feelings about cheerleaders. It all goes with the territory. It wasn’t the most beautiful win but it was a defensive masterpiece with the final score 19-3 for Seattle. To say this was a huge win is a bit of an understatement. The Seahawks have been having a rough year defending their championship and they need every win they can get to clinch a playoff spot. Needless to say, I was relieved to know that I wasn’t bad luck after all. 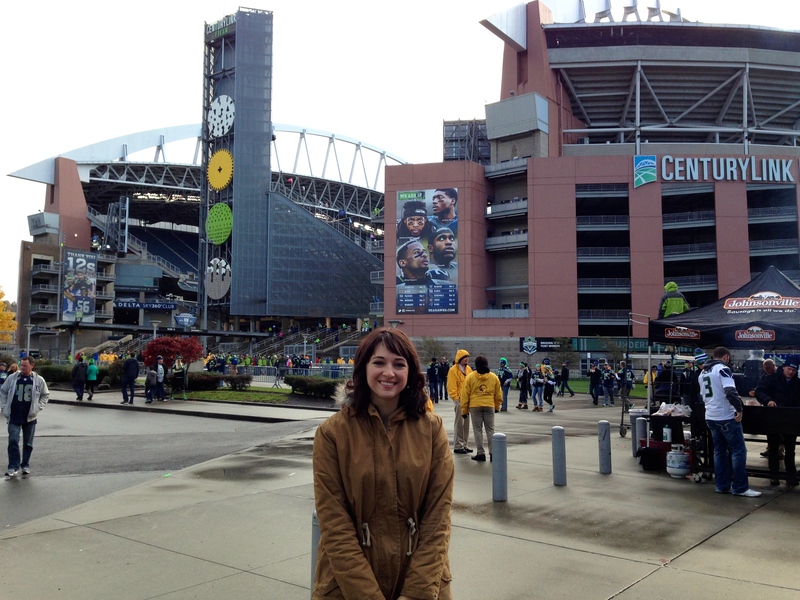 But, win or lose, I always have fun at Century Link Field. The fans are the loudest in the NFL and the people watching doesn’t get much better. With the steady flow of alcohol, and the mixture of testosterone and competition in the air, people tend to get a little crazy. If I wasn’t pulling my hair out with nerves, yelling at the refs, or laughing at the fans, then I was cheering my heart out. As I said, it’s quite the experience.